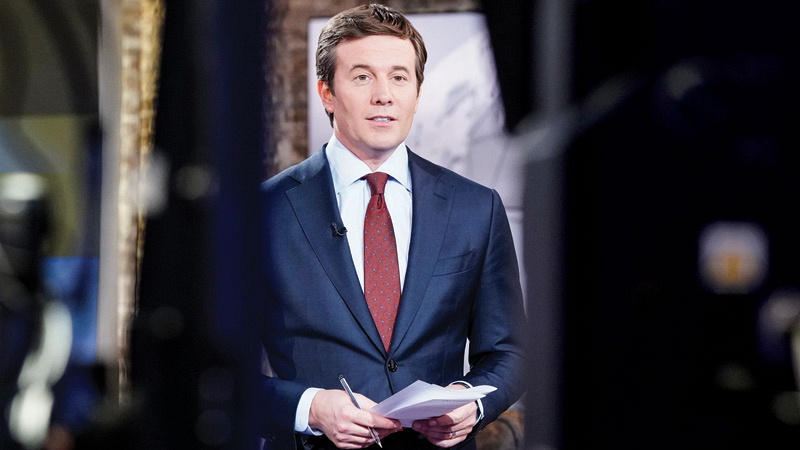 24 Hours With Jeff Glor CBS Evening News anchor Jeff Glor handles his job with authority, charm, and a stash of Swedish Fish. 4:15 a.m. Covering news is 24/7/365. Wars, natural disasters, mass shootings—I need to be ready at a moment's notice. Sometimes I'll get a middle-of-the-night call from my producer to come into the broadcast center early or, as happened this past year, to get on a plane to California or Texas or Florida. 6:30 a.m. My daughter is 3 and my son is 9, so I typically wake up when a child slaps me in the face or kicks me in the head. My wife takes charge because we all want different things for breakfast—eggs, cereal, oatmeal, waffles—and Nicole gets everyone on the right track. Spending time together as a family at the table is so important. 7:45 a.m. On the commute from my home in Connecticut to my Manhattan office, I'm news gathering. 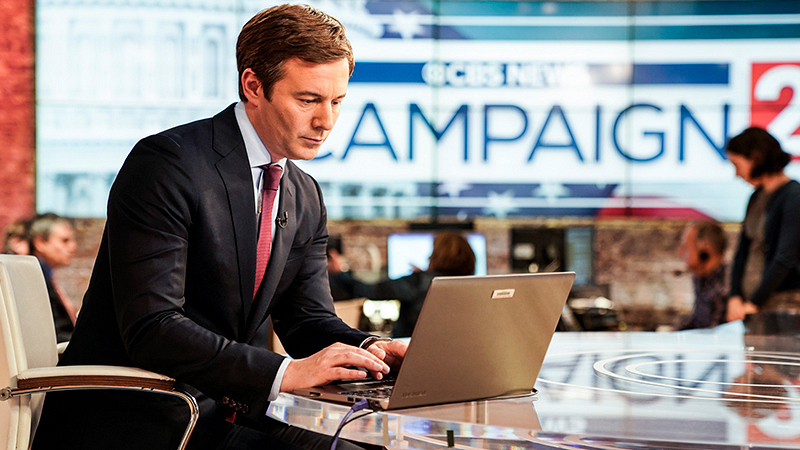 Number one, it's checking email updates from our CBS correspondents and producers in the field. Then I look at The Associated Press on my phone and read physical copies of papers. I've loved print ever since my first job as a paperboy growing up in Buffalo, New York. I scan The Washington Post, Financial Times, The Wall Street Journal, and The New York Times. 9:30 a.m. Our morning story meeting. 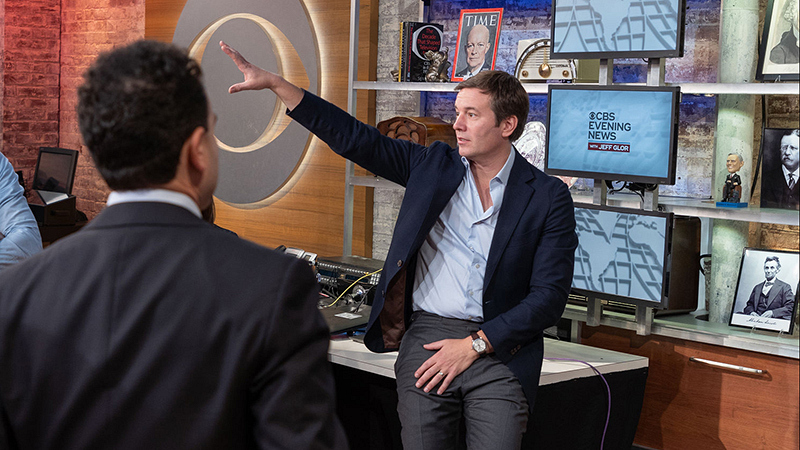 But first, more coffee as I watch a playback of CBS This Morning. 11:00 a.m. Each night, we go with 12 to 15 stories of varying length and complexity. It could be a piece that runs one to four minutes on, say, a new FDA warning or breaking White House news. We also do what we call "tells," short stories of interest told as voice-overs, that run 10 to 15 seconds, plus some long-form pieces like investigations or segments that are part of the "Eye on America" series. 12:15 p.m. I usually eat lunch at my desk. My go-tos are sushi, Indian food, and Buffalo chicken sandwiches. 12:40 p.m. I try to exercise. I feel so much better about every day when I get a workout in. This is also a time when I can take deeper dives into research or longer articles to prep for that night and beyond. Or I screen pieces coming up on the broadcast. 1:55 p.m. I gather with senior producers to start whittling down what goes into the final broadcast. While listening to story ideas or editing copy, I sneak a few snacks—usually Twizzlers, Swedish Fish, and Starbursts. 3:00 p.m. We have our daily editorial meeting where we talk about the broadcast and check in with producers and correspondents all around the world. 3:30 p.m. Around now I head into hair and makeup. People ask if I'm wearing dad jeans or cargo shorts under the desk. Nope. It's a full suit. 4:00 p.m. The last couple of hours before the broadcast are dedicated to heavy writing and editing, and maybe a salad or sandwich to keep me going. 5:00 p.m. I do a daily broadcast for CBS Radio that goes out live across the nation. 5:40 p.m. I record teasers for about 25 to 30 different affiliates around the country. 6:29:59 p.m. That's the real deadline for stories. If you ever see me writing notes as we open the broadcast, that's real. We make changes up until the second I start talking. 6:30 p.m. The Evening News begins. 6:42 p.m. We're adjusting stories even during breaks in the broadcast. I love news, and it never stops. 6:58 p.m. We sign off the first edition of the broadcast. People ask me if I have a signature end line. I don't. I try to react in real time as best I can to the final piece, which is often a joyful or inspiring story. 7:00 p.m. I do updates for the West Coast feeds that air that night. 7:45 p.m. This is the earliest I'm out of the office. The latest might be 10. I usually go straight home. On a good day, I'm home by 8:30. 9:00 p.m. Quality time with my wife. 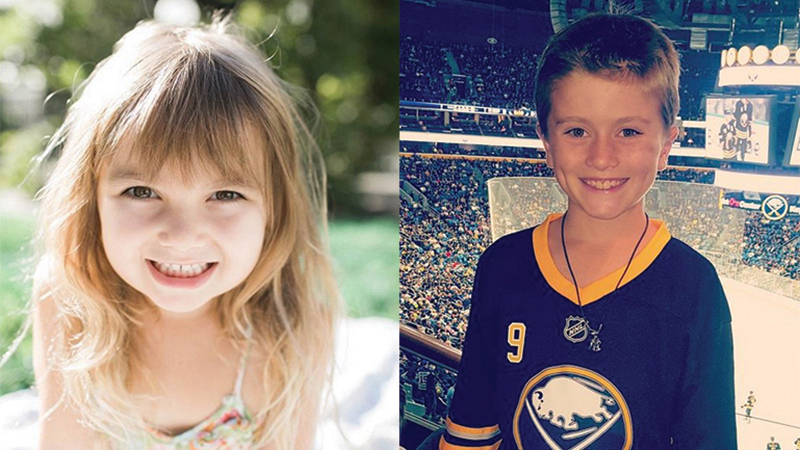 We'll maybe have a light dinner or watch sports—especially if the Buffalo Sabres are on—or read and hang out. 11:00 p.m. Sleep is important. Sometimes during breaking news events you will never get enough (or sleep at all), but if I have the opportunity to get seven to eight straight hours of sleep, I will take it. Photo Credits: Courtesy of Glor (Kids); Clarke L. Smith/CBS (Glor In Meeting); Michele Crowe/CBS (Glor At Desk); Gail Schulman/CBS (2). 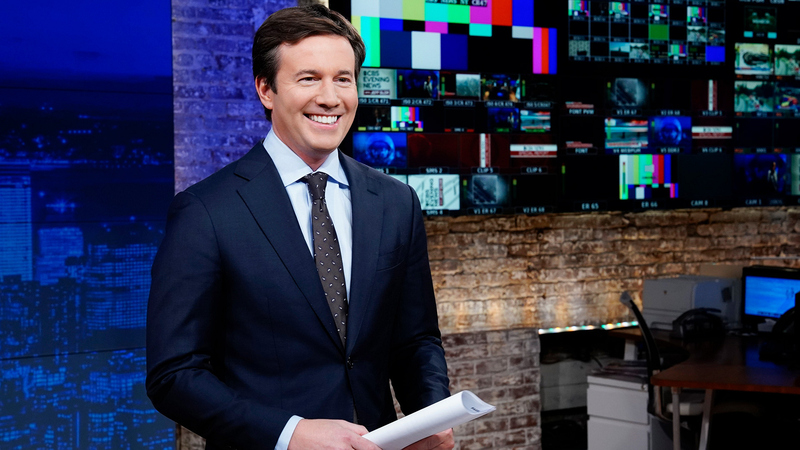 CBS Evening News airs Weekdays at 6:30PM on CBS and streams on CBS All Access.